Deb has won many awards for her books, including the Maurice Saxby Award, US IBBY award for Outstanding International Book and Best Book in Translation, Malta. Deb has been presenting in schools and festivals for over 18 years and loves getting kids excited about books, reading and writing. Kathryn Apel writes poetry, verse novels, poetry and picture books. She has achieved acclaim as a verse novelist, dealing with emotive issues such as bullying, sibling rivalry, self-doubt, and the intricate balance of friendship. Charlie Archbold is a YA and children’s author. Her debut novel Mallee Boys won the unpublished manuscript award at the Adelaide Festival Awards for Literature. In 2018 Mallee Boys was recognised as a CBCA Honour Book. Janeen Brian is an award-winning, children’s author and poet with over 100 books published in both trade and educational publishing. She enjoys writing picture books, junior fiction, poetry and novels. Adam's first book, Wesley Booth, Super Sleuth was published by Scholastic in 2016. He has more up and coming titles and was recently the winner of the Text Prize for Children's Literature for The Extremely Weird Thing that Happened in Huggabie Falls. Danielle Clode is a zoologist who writes about killer whales, dinosaurs, bushfires and megafauna. 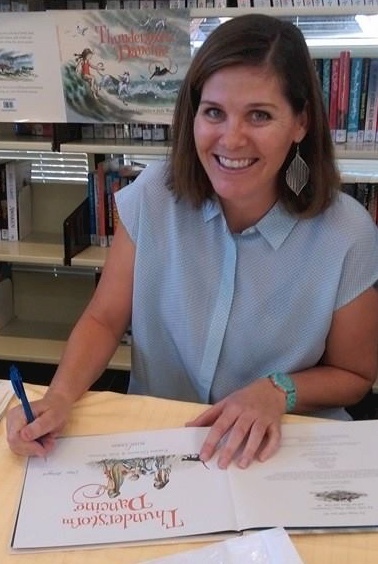 Her third children’s book on prehistoric animals, From Dinosaurs to Diprotodons, was published by Museum Victoria in August 2018. Phil Cummings is an award winning author of over seventy books for children (from picture books to novels) in a career that has spanned thirty years. His work has been published in Australia, New Zealand, U.S, Japan, China, South Korea, Canada, U.K. and throughout Europe. He is a registered teacher and has been a Premier’s Reading Challenge Ambassador since its inception in 2004. Phil was also named National Literacy Champion in 2006. Mike has written many award-winning books since his first picture book Dial-a-Croc was published in Australia and overseas in 1991. He is also a Literacy Consultant who has worked both in Australia and New York. Mike’s recent titles include Jump & Shout, Digger and Santa’s High-Tech Christmas. Katrina is the author of numerous best-selling picture books. Thunderstorm Dancing is just one of several of Katrina’s books to have received Notable Book Commendations from the CBCA. Erin Gough is a fiction writer whose award-winning stories have been published in a number of journals and anthologies. Her talks and workshops with high school students focus on the craft of storytelling, the importance of reading diversely and learning how to tell your individual story. Sally is an award winning playwright and theatre maker for children and young adult audiences, and is the South Australian Chair of the Australian Writers Guild. 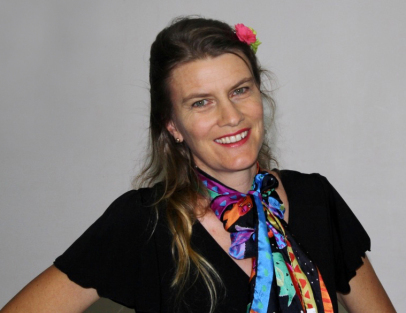 Rosanne Hawke is an award winning children’s & YA author and is the author of thirty books for young people ranging from lower primary to high school. She was a teacher & aid worker in Pakistan & UAE and now lectures casually in creative writing at Tabor Adelaide. Kelly has written the fabulously colourful picture book, Fancy Pants, published by the Little Big Book Club in November 2016. Her second book is due for release in 2018 with HarperCollins. Tania Ingram is an author of children’s picture books and novels including the Jinny and Cooper series. She is on the Society of Book Writers and Illustrators SA committee. Tania is also a Books in Homes role model and Ambassador for United Way SA.